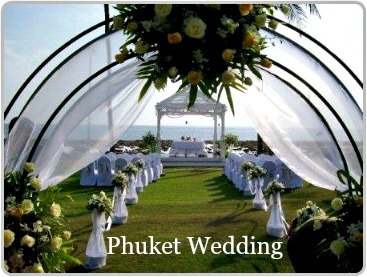 Are you searching for Phuket honeymoon ideas for a romantic getaway on a tropical Island? Phuket is known as one of the top honeymoon destinations in Thailand; with an abundance of popular honeymoon destinations both on and off the Island. Phuket is blessed with beautiful beaches, exotic Islands, lively nightlife, colourful culture, mouth-watering Thai cuisine and warm hospitality. Ideas for your honeymoon might include spending lazy days by the pool or on the beach. Relaxing at one of the many day spas or exploring Phuket’s historical monuments. Enjoying a romantic sunset cruise or a day trip to the picturesque Phi Phi Islands, or take in the natural beauty of the limestone cliffs at Phang Nga Bay. 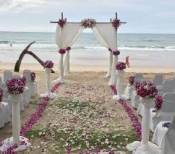 Everyone has different ideas for what they would like to experience on their honeymoon in Phuket. Below are a couple of honeymoon ideas that may indulge your senses. Relax and enjoy each others company and a bottle of champagne whilst watching the sunset from Promthep Cape a truly romantic experience. Enjoy a romantic dinner for two at Mom Tri's, one of Phuket’s best restaurants, which offers world class cuisine in a beautiful, romantic setting overlooking the Andaman Sea. Canoe through the idyllic scenery of Phang Nga Bay a unique experience that takes you through sea caves known as 'Hongs' and a visit to James Bond Island. Or spend a day at Ko Phi Phi, regarded as the most beautiful islands in the Andaman Sea. While exploring you will discover the fantastic landscapes of 'Maya Bay', before enjoying lunch at Phi Phi Don followed by swimming, snorkeling or simply soaking up the sun on the beach. 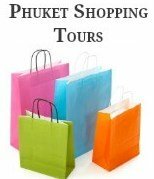 Phuket has many popular honeymoon destinations from Maikhao beach on the northwest coast to Cape Panwa on the southeast coast. For many visitors Patong is the most popular tourist destination, but if you are after a romantic getaway for your honeymoon in Phuket there are many more romantic destinations to choose from. Romantic getaways and honeymoons in Phuket offer outstanding value for money. Over the years the Island has seen the development of many luxury resorts, hotels, boutique hotels, beach bungalows and over 270 private villas. With so much choice it is ideal for couples looking for the best honeymoon packages. Shop around for the best honeymoon packages to suit your budget. You want wonderful memories of your honeymoon in Phuket, not the debt of paying it off when you return home. When looking for Phuket honeymoons ideas, remember that some of the best honeymoon packages are not always the most expensive. If you do your research and look around for some cheap honeymoon destinations in Phuket you will be surprised how affordable it is to enjoy a romantic getaway on this tropical Island.